During the day GrillMan is a burger caf? where you can try our full-sized hamburgers with 100% beef homemade patties. Satisfaction guaranteed! 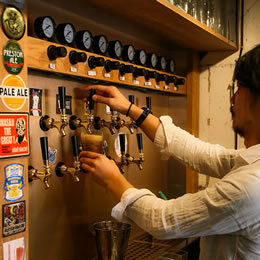 In the evening you can choose from 10 varieties of Japanese craft beer on draft, or Japanese wine, to accompany our steaks and other grill menu items. Feel free to drop in at this restaurant and bar for meat-eaters! Very close to Fushimi subway station. 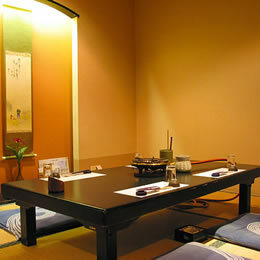 Traditional favourites Shabu-shabu using the finest quality beef and Kaiseki cuisine of seasonal delights are offered at reasonable prices, in an authentic setting. 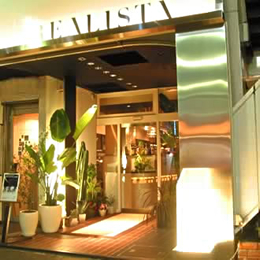 A relaxed atmosphere for those with more mature tastes, perfectly located between Fushimi and Sakae. 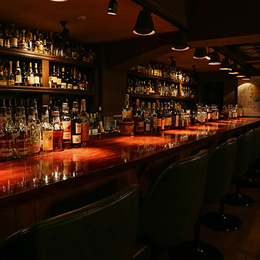 The owner of Kreis spent 20 years honing his talents as a bartender at a prominent Nagoya bar before opening his own place in December 2012. The name Kreis, meaning gcircleh in German, emphasizes human contact and connection. Enjoy fresh seasonal ingredients in authentic Italian dishes in stylish surroundings and a calm atmosphere. Great Food! Great Drinks! Great Service! 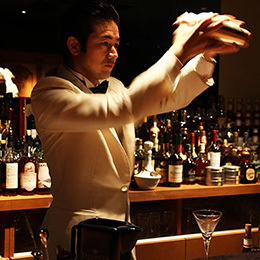 Come to Shooters And feel that home town service from our International Staff.